The end of the year is quickly approaching and I’m behind in getting some projects posted before the Holiday Catalog ends. Today’s card is the thank you that I sent to customers that made a purchase from me in October, either online or at an in person event. I also sent this one out to my October Paper Pumpkin subscribers as well since it had been a while since I’d thanked them for their subscription. I really do appreciate my customers. I know there are a lot of choices in Demonstrators out there, and it means a lot to me that you selected me as your Demonstrator. 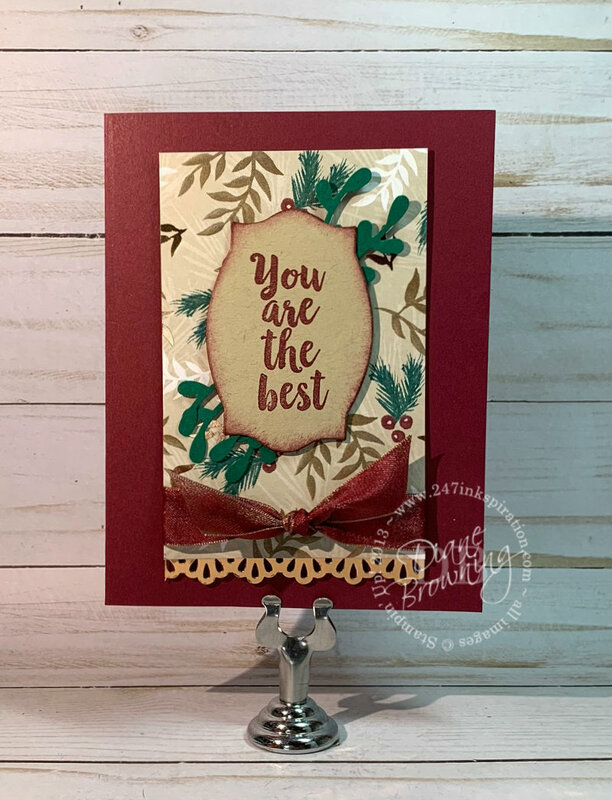 This uses the Joyous Noel pattern paper, which is now sold out. You could easily substitute a different pattern paper on this card. I love how Stampin up puts so much thought into color coordination. I’m definitely a fan of matching my paper and ink, and I love how the ribbon ties it all together. This card might look a little familiar and that’s because it is. I styled it after another card I shared last week, which you can see here. You don’t always have to reinvent the wheel every time you sit down to make a card. It’s okay to reuse designs that you love. Oh my goodness! Guess what’s available starting TODAY! It’s a tote bag for your Stamparatus. And it is beautiful. There is plenty of pockets inside to hold your Stamparatus, some extra plates, and your grid paper. You are going to love this tote bag. This bag is $29 (item #149695). If you’ve been waiting to purchase the Stamparatus until the tote was available, you can buy both as a bundle for $78 (item #151961). Good news! 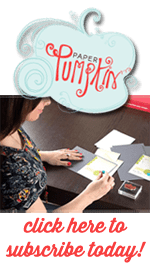 Since we had several items in the Holiday Catalog sell out much quicker than anticipated, Stampin Up brought back the Dashing Along Pattern Paper. Available while supplies last. Get it while you can. Item #149903.